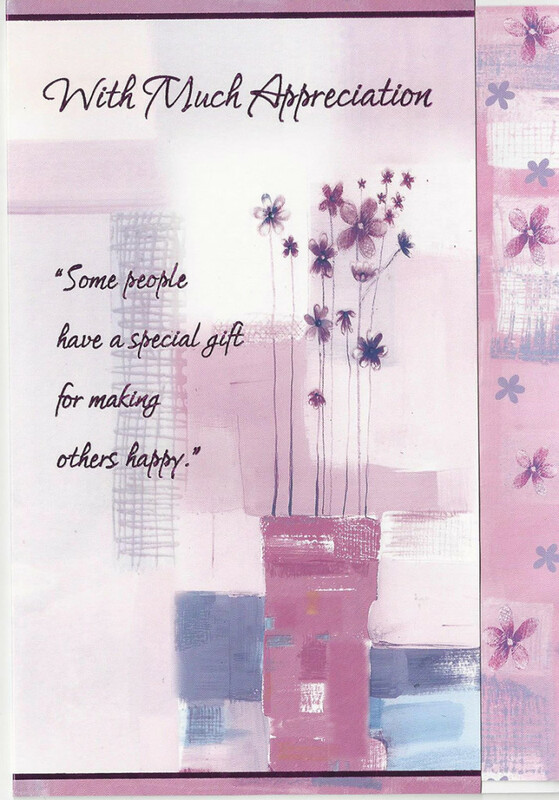 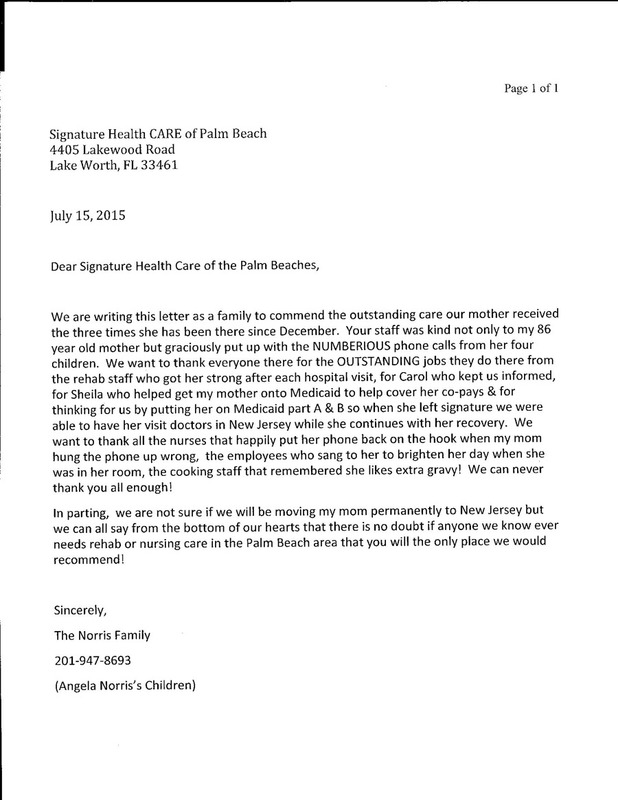 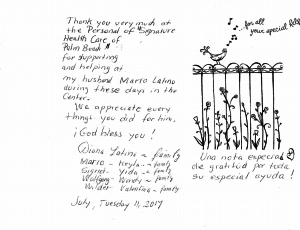 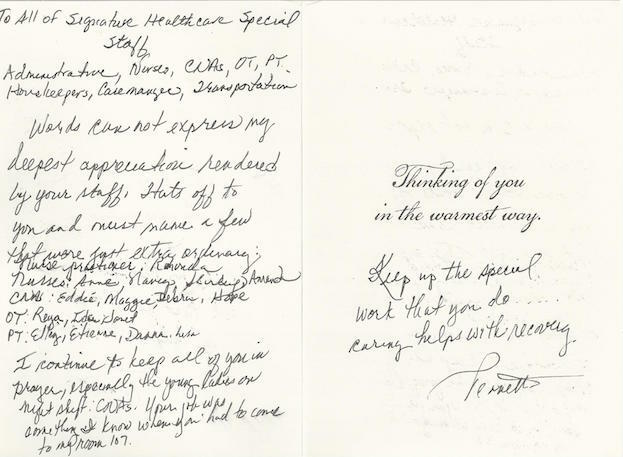 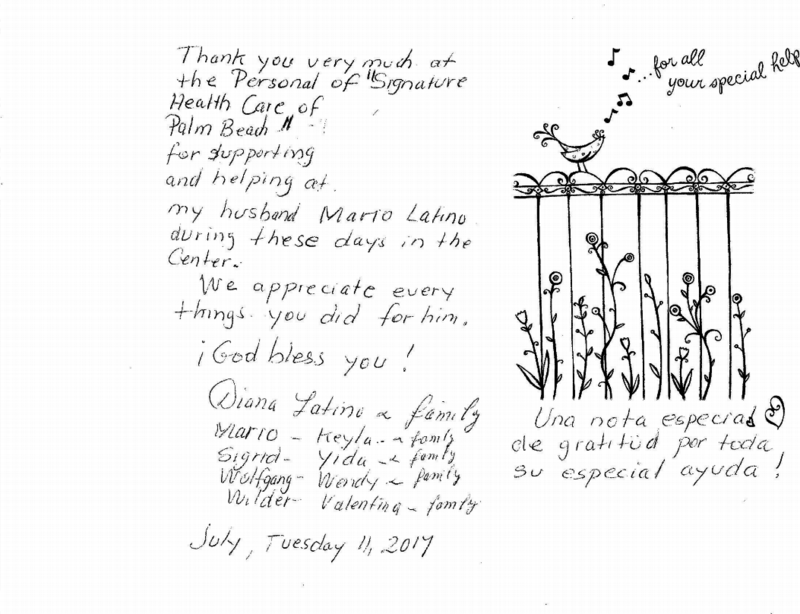 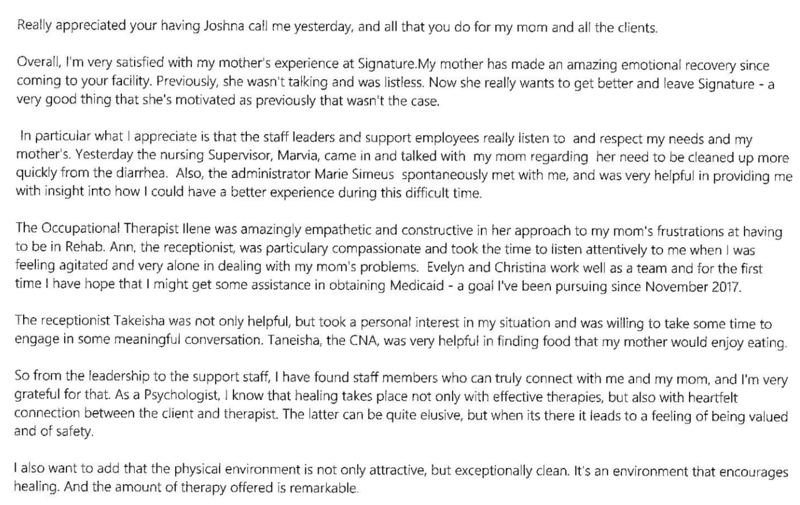 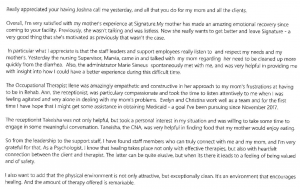 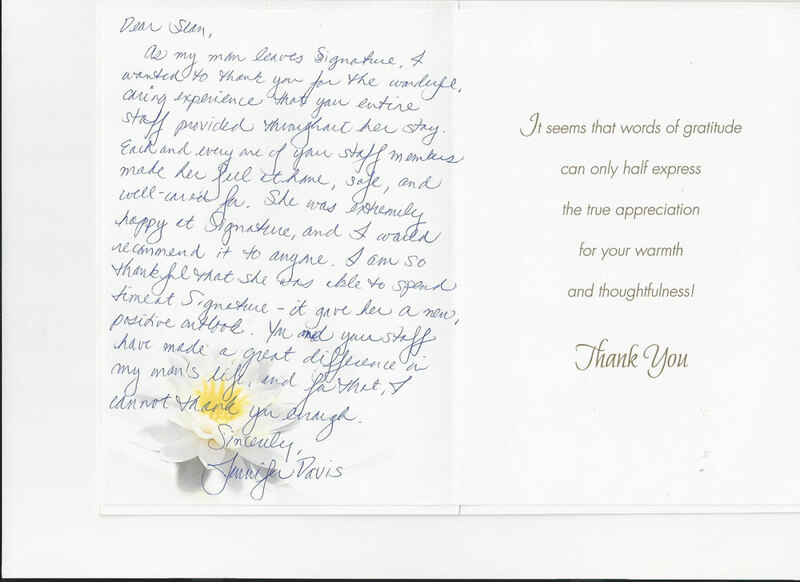 A family member was very grateful with our care at Signature HealthCARE of Palm Beach. 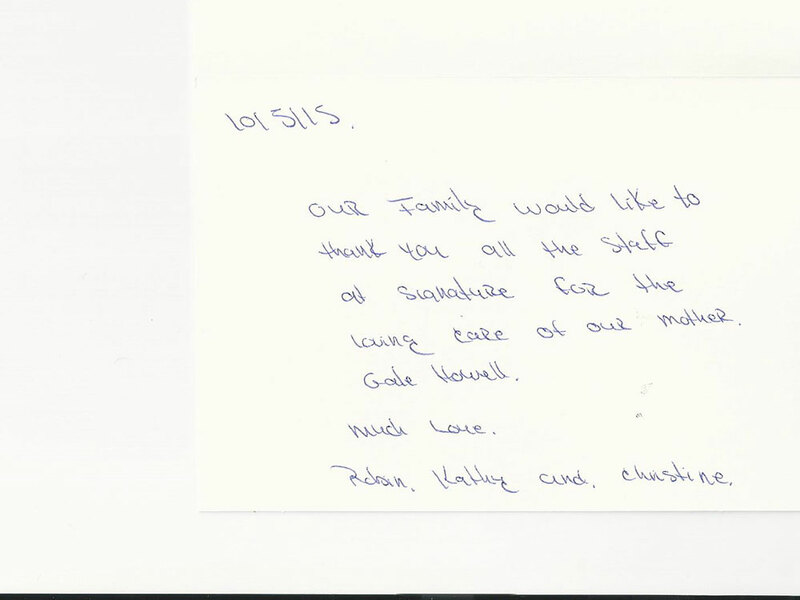 We were so blessed to have this family at our facility. 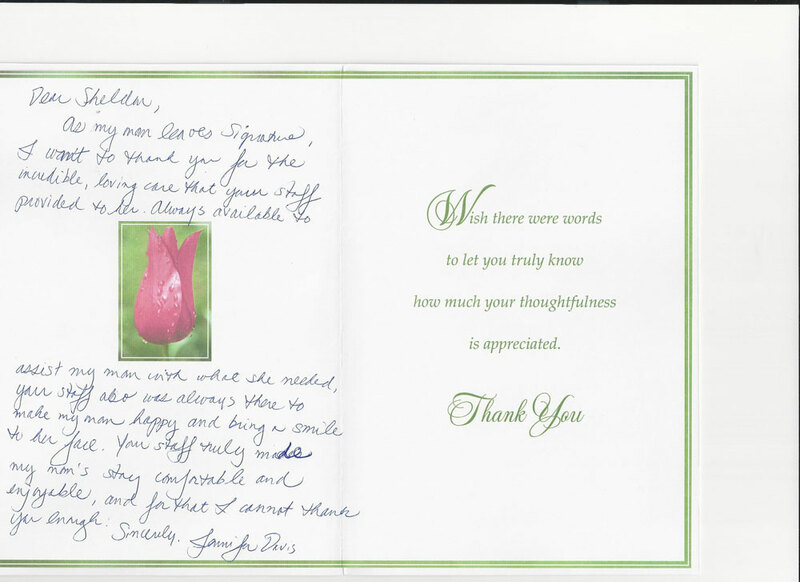 And they were so grateful for the care and compassion we gave their loved one. 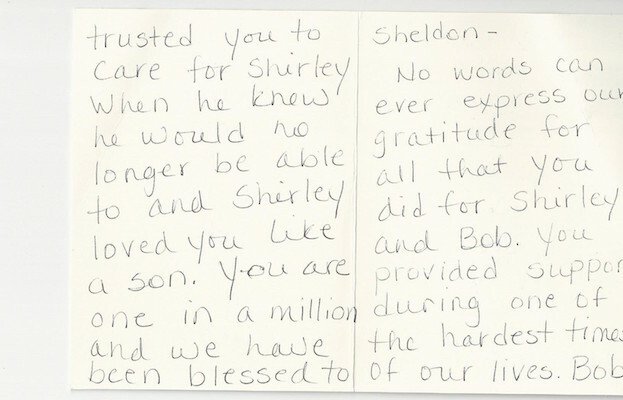 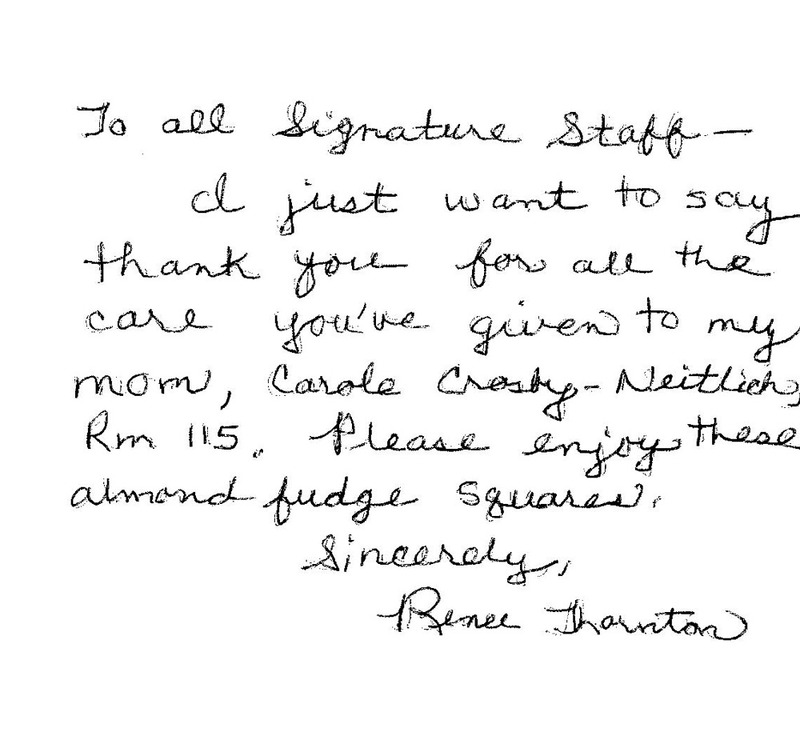 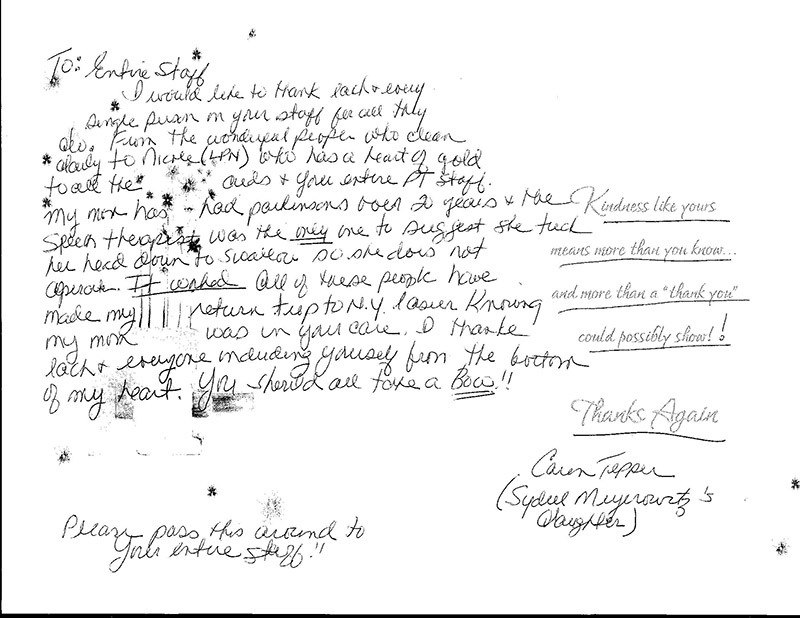 A thank you letter from a family for the care given by our DON, Sheldon.